With a brushed steel bezel and a new date window, Tudor’s new Heritage Black Bay Steel expands Tudor’s offerings in the dive watch category. The new model maintains the 41mm-diameter case dimension of the existing Heritage Black Bay watches while modifying the in-house caliber inside with a date display, new for Heritage Black Bay line. 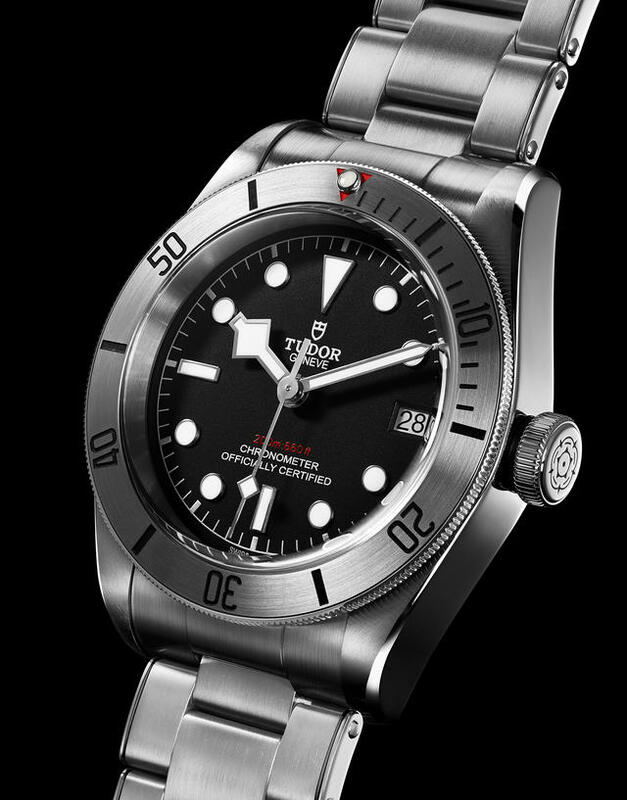 Tudor has machined the new steel bezel and has finished it with a circular satin-brushing that leaves a matte appearance quite different from previous black, blue and red bezels seen on the steel-cased 2016 Tudor Heritage Black Bay models. The new Tudor Manufacture Caliber MT5612 is the latest in the series of Tudor in-house movements that debuted in 2015 for the Pelagos and North Flag collections, and slightly different from the MT5602 found in last year’s Heritage Black Bay models. The Caliber MT5612 movement retains its impressive 70-hour power reserve (which, as Tudor reminds us, means a wearer can take off the watch on Friday evening and put it back on again on Monday morning without having to re-set and wind it). 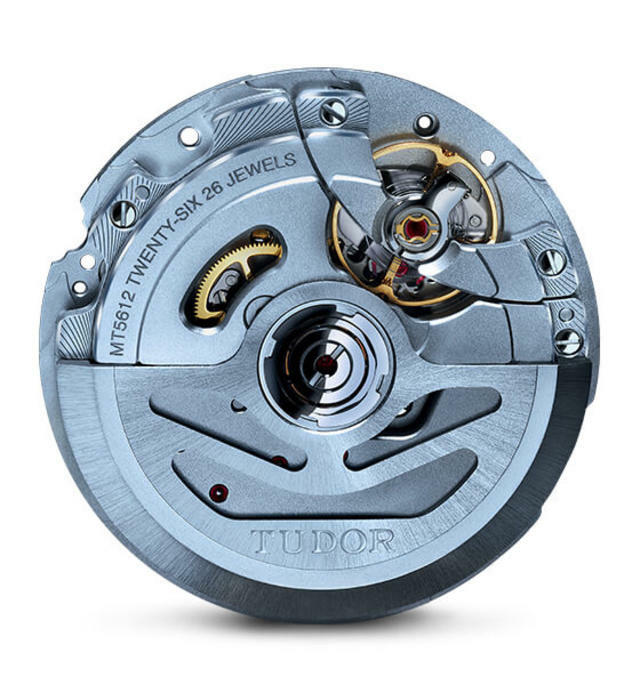 Known for their robust construction, these 4 Hz Tudor calibers feature a silicon balance spring and are certified by the Swiss Official Chronometer Testing Institute (COSC). 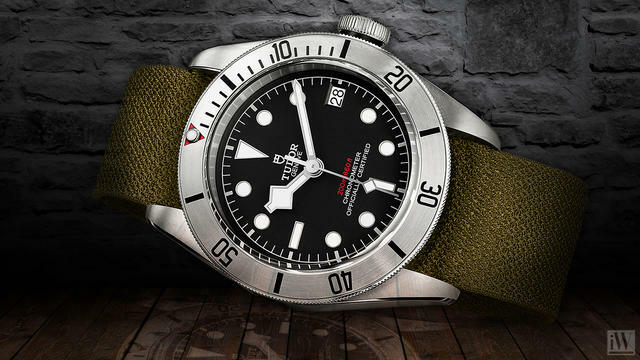 Tudor again uses its own riveted bracelet, which debuted in this collection to many accolades last year. As a reminder, the bracelet design is inspired by the folding riveted bracelets Tudor made in the 1950s and 1960s. The watch can also be purchased on a black aged leather strap with folding clasp. Both versions come with an additional khaki green fabric strap. Prices: 3,300 Swiss francs on leather strap & 3,600 Swiss francs on stainless steel bracelet. U.S. prices coming soon. Additional fabric strap with buckle included in the box.